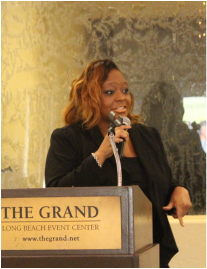 LaTania Michelle is a popular conference speaker and professional trainer committed to offering training programs and coaching services that provide practical instructions on taking the small steps needed to bringing you closer to achieving your goals. LaTania speaks on a variety of topics inspiring others to live a life of Passion, Purpose and Prosperity. LaTania’s mission is to inspire, empower and educate while spreading her message of Fearlessness and Unlimited Possibility to the world. 4. How to become a Successful Speaker. 3. 5 Keys to Supernatural Prayer.